Garasia, an interesting ethnic group inhabiting the Aravali foothills of remote Sabarkatha district in Gujarat has a curious history. Though a depressed class and classified as a de-notified tribe, the Garasias resembles closely with the advanced Rajput clans in many ways. Due to these, the British administration had even categorized the Garasias as a branch of Rajputs who were petty land holders. Even today amidst poverty and deep isolation I was surprised to see Garasias not only as prime agriculturalists but also holders of large chunk of lands in the remote slopes of Aravali Mountains. Their houses are widely dispersed each surround by a large farmstead. Yet the Garasias are poor and deprived of basic services like, health, education and safe drinking water. Farming is mostly rain fed. According to historical records, in colonial India as land became scarce both through colonial expansion and slash-and-burn agriculture Garasias became further marginalized and associated themselves with Bhils, a more primitive tribal group. The nationalist movement created further division between groups as the Rajput identity was grounded in traditional customs and their heritage as rulers. Garasias of Sabarkatha form two distinct groups – the Garasia Rajputs and the Garasia Bhils. 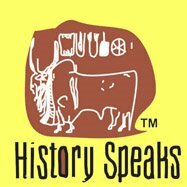 The Garasia Rajputs: In the medieval time the Rajputs from Rajasthan and surrounding plains of Gujarat had appropriated Bhil territories and in part to strengthen their rule and maintain peace, some of them married to Bhil women. Their offspring formed a distinct caste – the Garasia Rajputs. They served as delegates between the ruling Rajputs and Bhils. The Garasia Rajputs are a lower status caste than the Rajputs but consider themselves higher to Bhils with whom they do not inter marry. Garasia Rajputs see themselves as tribalized Rajputs and they believe that that their Rajput ancestors moved to remote forest to avoid subjugation by a conquering group. 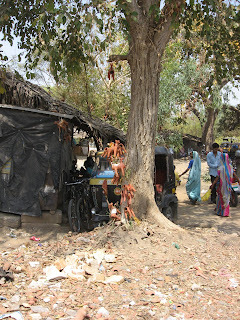 The Garasia Bhils: The Garasia Bhils are those who married to Bhil women and were not accepted into Garasia society because of the lower status of the Bhils. 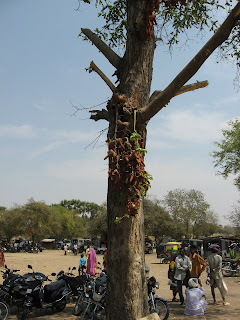 The Bhil Garasias are also called Dungri Garasias. I visited Bara bedi, a Garasia hamlet near Poshina. The village is spread across the mountain slopes and dry river beds of Aravali. The Garasias of Bara bedi live mostly in huts consisting of two/three rooms with mud wall partitions. The roofs are built of flat tiled roofs. There is a smaller hut attached to the main one meant for cattle. However, for the other animals like goats and hens there are open air facilities. The Garasia women are known for their colourful attires and silver jewellery. Dhols (drums) and bow-arrows are also part of the material culture of the Garasias. The huts belonging to various families are widely dispersed and there is no central place where people can meet together. I visited a few houses in the village and while interacting with the inhabitants I discovered the gender divisions - women’s responsibility include cooking, tending to cattle, milking the animals and looking after the children. The men do the physical labour such as ploughing, harvesting and building the houses. There is a strong prevalence of joint family system though there is very little unity or cooperation between the village clans. 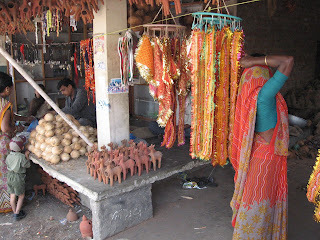 Clay is essential to Indian culture past and present. 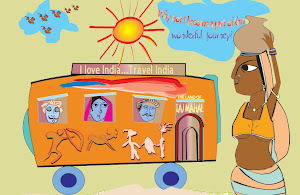 It has been the perfect vehicle for Indian creativity throughout the ages. There are innumerable forms of shapes and styles made of clay, both fired and unfired. 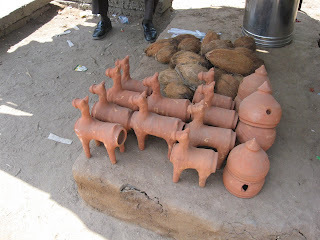 Offering of terracotta animals to forest and hill shrines has been integral to the tribal tradition in parts of Gujarat. Terracotta horses yet another expression in clay are a common sight around Ambaji in North Gujarat and Pavagad in the Panchmahal region of eastern Gujarat. Garasia tribe, an interesting tribe having a strong influence of Rajasthani mixed Gujarati culture inhabit across the Aravali Mountains in and around Ambaji, a holy place of Gujarat. 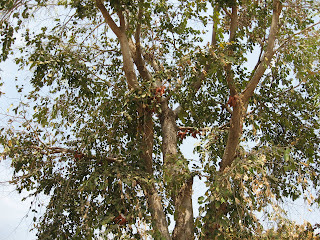 Garasias are primarily agriculturalists, but also depend upon the surrounding forests. The Garasia tribe believes in ancestral worship and believe in Bakhar Bhavsingh, the supreme deity of the Garasia world. ‘Bakhar’ is the name of the hill range in the Garasia territory while ‘Bhavsingh’ is a mountain whose mount is a horse. This tie in with their tradition of offering terracotta horses, when they want to communicate with the divine. Once the offering is made and prayers are given they believe that the spirit inside horse is absorbed by the deity and all their remains in the terracotta horse, which is left to disintegrate. The influence of Rajput tradition is also prevalent in some of the terracotta horses, such as the image of mounted horsemen, and tridents. 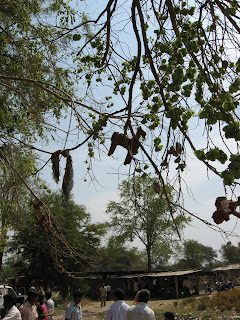 Offering of terracotta horses around the Pavagad hill is also a common sight though the style and shapes are different from that of Garasias. 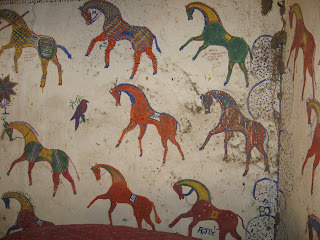 For Rathwas, a section of Bhil, the central character of their sacred lore is the God Pithora Baba, whose mount is a horse. According to the belief, Pithora was conceived when a minor god raped a sister of the great God Indra. Pithora’s mother abandoned him. However, his aunt (another sister of Indra) adopted and reared till he grew into youth. 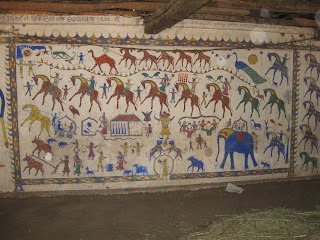 Besides terracotta offering Pithora Baba and Pithori are also painted with other gods and goddesses (especially the marriage procession of Pithora Baba and Pithori) mounted on horses. 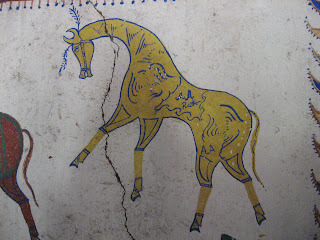 The Rathwa terracotta horses are made of simple techniques. Hollow cylinders which are made for tiles turn into legs, the bigger pots turn into torsos and a small pot turns into the mouth.